Looking to incorporate user generated content into your marketing strategy, but not sure how to find it? Let SparkReel's Content Pulse be your guiding light into the world of UGC. Content Pulse crawls the social web (Instagram, YouTube, Twitter, Vine and Facebook) for existing content and delivers only the best and most relevant to your feature platform. 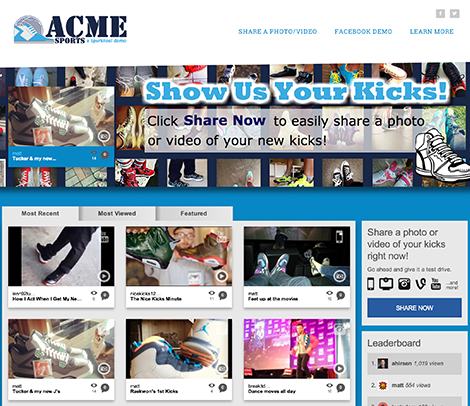 Identify top on-brand content on YouTube, Instagram, Twitter, Vine & Facebook. Uncover the latest visual media trends that are relevant to your brand. Identify top content creators in your vertical. Streamline the rights and permissions communication process.